🌻But the nerd in me got some happy news in February: a new Kingdom Hearts 3 trailer and rumours of a Spyro remaster. If you read this post, you know how much I've been wanting to get my hands on a Spyro remaster. 🌻Just realized the next few months will make it difficult to resist not to buy books. All those shinning new releases need to be mine. Take a look at my previous Sunday Post to check which other book arrived at my bookshelf in February. Was February nice to you? How many books did you read? How many books did you buy? Awesome that you got it! I hope you enjoy it! I am riding out the storm that took out our power at a friends. So surreal looking at all the downed trees and power lines cut in half. Have a good Sunday! Thank you. :) That was a hell of a storm. The weather has been crazy lately. Shut up and take my money...too funny. Thanks for the chuckle with my coffee. A Spyro remaster? I am pretty certain I would kill for that. Especially as the Crash remaster was just so good, Spyro would be even better, I loved that game. I feel you in letting the blog die, though. I somehow allowed myself to disappear from the blogosphere for two weeks and I didn't mean to. It's cool, though. Even if you're not reading loads as long as you keep blogging from time to time it's all good. Too busy to stay awake is a good way to put it :D I feel much the same. It's a busy season! I hate busy seasons. I just want to have a moment to relax and read a good book. Aww, thank you. <3 I truly hope people won't forget me and my blog. Looks like you tacked a lot of fantasy last month, and you're ahead of schedule - good for you! My daughter loved Kingdom Hearts. I remember her making me buy her a PSP just to play some version of that game. Fantasy is the genre I read the most (I can spend months only reading fantasy and not trying some different genres - something that I'm trying to change). Your daughter has such a great taste. It's such an emotional and funny game. Oh I loved The Hunger Games series. I always intended to do a re-read, but only did book 1 on audio. Hope you have a great week! February must have been a good reading month for people. I read seven books, and that never happens. ENJOY this week’s book, and thanks for sharing. 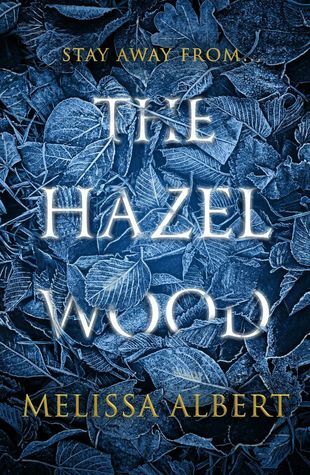 I confess that if I hadn't received The Hazel Wood in a subscription box, I probably wouldn't have picked it up. The synopsis didn't catch my interest, but maybe I will have a nice surprise. I haven't read that many books recently but I've been writing a lot. I hope you enjoyed all 6 of those books, I've heard good things!